It has been some time since I wrote first part of BST tutorial and now it is time go publish second part. In this second part we shall first discuss how algorithm for removal of certain value/node from BST works and in third and last part of this series we shall conclude whole thing with implementation example. 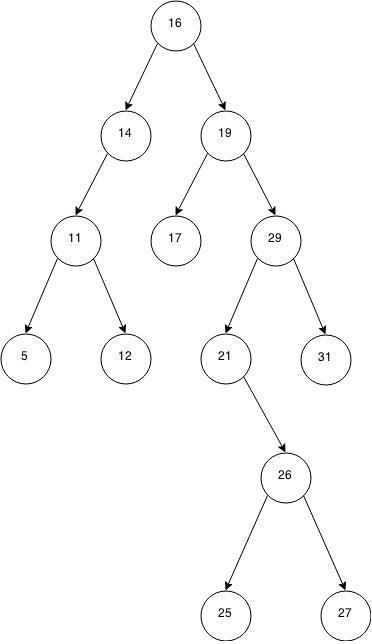 Code that I shall present in this third article might not be optimal but I shall give my best to enhance it over time, for sure it will be good enough to understand implementation of algorithm for removal of value/node in BST. Also I shall rely on the code that was implemented in first part of this tutorial series. In case node for removal has both children – this is most complex part of the algorithm, first we need to look for the node with minimum value in right sub-tree of node for removal (node with minimal value is leftmost node in the sub-tree), after we determine node with minimal value in the right sub-tree we need to set that node to be in place of node that we want to remove. 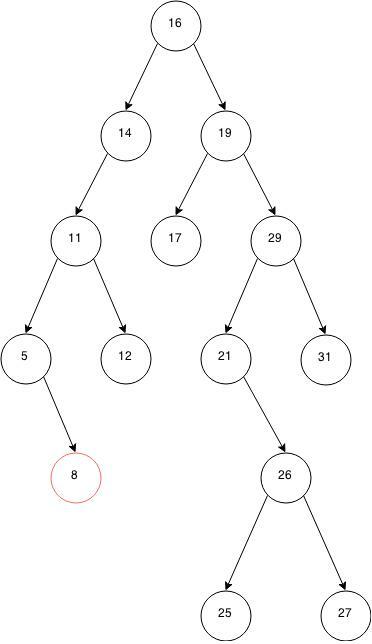 This is simple and straight forward, first we locate node with value 8 in the binary tree and simply set right child of node with value 5 to null. For this second case, first we position in the tree node with value 14, than we take it’s left child node and make it to be a left child of node with value 16 (parent node of a node with value 14). 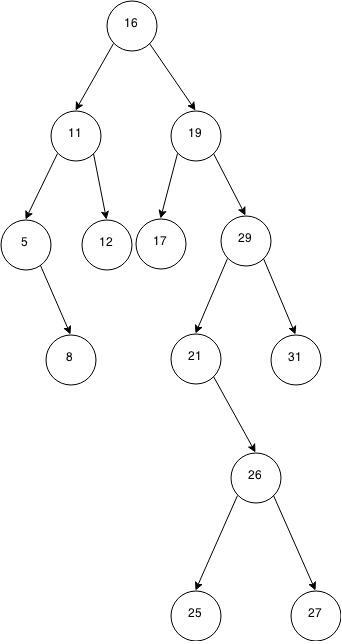 First step, as always, is to identify node with value 19 and then second step is to find node with minimal value in right sub-tree of node with value 19, in this case we can apply algorithm for finding minimal value (described in first part of this article series) and then removing this value from sub-tree using recursion of this algorithm. 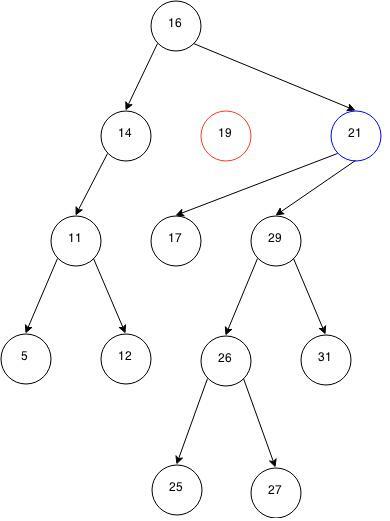 Finally references of a parent node and references to child nodes of node with value 19 needs to be updated, first node with value 21 must point to the children nodes with value 17 and 29 and parent node with value 16 to point to node with value 21, at the end set pointers for children nodes of node with value 19 to null. So this is end of part 2 for BST, I hope that everything explained is clear, in case you have comments or there is something unclear, please leave comment below and I shall be glad to reply back.